There are more than a million smokers in Ireland. 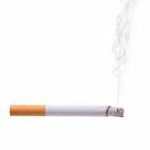 Smoking and periodontal disease are closely connected. It is a major risk factor for periodontal disease, cardio vascular disease and cancer. Quitting smoking is one of the best things a patient can do to improve their condition. It is never too late to stop smoking; the benefits begin as soon as you stop. In a recent edition from the New England Journal of medicine from Toronto, research suggested that if you gave up before you reach 34 you have every chance of regaining the full decade. Before 44 you regain nine years, before 54 you regain six years back and if you give up before you are 64 you gain four years back. After ten years you have the same risk of stroke as a non-smoker. For tips on quitting by hypnotherapy click here or visit the Irish Cancer Society website for other tips, click here.